Are Aspiration’s Deposits Really Fossil Fuel Free? As a professional green money manager, I know that “fossil fuel free” is in the eye of the beholder. For many mutual funds, “fossil fuel free” simply means avoiding the 200 largest fossil fuel companies, but investing in the 201st largest fossil fuel company, even if its primary business is mining coal is just fine. Other mutual funds won’t invest in any company that has any exposure to fossil fuel production or transportation, even if that business accounts for less than 1% of revenues. Other money managers cover the entire spectrum in between. The criterion I use for my 10 Clean Energy Stocks model portfolio and private Green Global Equity Income Portfolio, is that any company in either must improve the environment as it grows because it has lower environmental impact than the activities it displaces. Fossil fuel free banking products are hard to find, and I was encouraged by the fact that Aspirtation is a B-Corporation, a designation that the business meets the “highest standard of verified social and environmental performance.” In the evolving green investment space, even “verified standards” vary, so I sent three inquiries asking for details to Aspiration’s press office over the last two months. I am still awaiting a response. The lack of disclosure aroused my suspicions. If Aspiration had something to brag about, wouldn’t they be bragging? 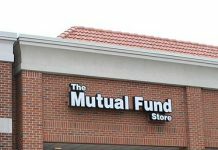 After the close of business each business day, the cash balances in the Aspiration Spend and Save Accounts are swept to an account at one or more federally insured depository institutions (each a “Bank”). …. Aspiration Spend is a non-interest bearing account with electronic transaction functionality. Aspiration Save is an interest-bearing account. Full disclosure about Aspiration Spend and Aspiration Save is available in the Spend & Save Supplement to the Customer Account Agreement. The “Spend & Save” supplement does not contain any more information about how these banks are selected. I specifically asked how these banks were selected in the emails to Aspiration. The question remained unanswered. With no response from Aspiration’s press office, I called the company’s customer service line, and asked what banks they use to hold the deposit. The answer was remarkably simple: The money is deposited with Coastal Community Bank, based in the Puget Sound region north of Seattle..
On May 17, 2018, we entered into an agreement with Aspiration Financial, LLC, or Aspiration, an online investment platform that offers socially-conscious and sustainable banking and investing, pursuant to which we will provide certain banking services for Aspiration’s new cash management account program that Aspiration intends to launch in the third quarter of 2018. As part of our services to Aspiration, we will serve as the issuing bank for debit cards issued to Aspiration’s customers and we will establish one or more settlement accounts for the purpose of settling customer transactions in the Aspiration cash management account program. Substantially all of the Aspiration customer cash balances will be distributed to accounts at other depository institutions through a sweep network. We will retain a small portion of Aspiration customer cash balances for the purpose of facilitating settlement of payments and transfers. The agreement with Aspiration has an initial term of three years from the later of July 1, 2018 or the date on which Aspiration begins enrolling customers, and is subject to two automatic renewals for successive 12-month terms. Pursuant to the agreement with Aspiration, we will receive a quarterly fee based on the total deposits in the Aspiration cash management account program (and we must pay interest to Aspiration on the deposits we retain) and Aspiration will reimburse us for certain expenses. This is a profitable business for CCB, which is now earning a fifth of its non-interest income and a tenth of its total income from “wholesale banking service fees” which are a new category for CCB and comprised of the services it provides to Aspiration. In addition, deposits from Aspiration can will provide additional capital to fuel CCB’s loan growth. The bulk of Coastal Community’s lending is to small and medium businesses and individuals in Washington state, most of it real estate lending. 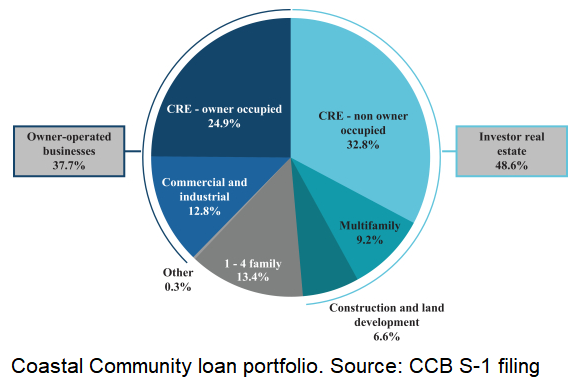 According to the S-1 IPO filing, CCB’s loans are “12.8% commercial and industrial, or C&I, loans, 24.9% owner-occupied commercial real estate, or CRE, loans, 32.8% non-owner-occupied [commercial real estate] loans and 13.4% one- to four-family residential loans at March 31, 2018.” While some of the commercial or industrial loans might be to fossil fuel related businesses, it seems unlikely that any of these loans are to big oil and gas or coal companies. At worst, there may be a few loans to gas stations or propane delivery companies. Like many banks, Coastal Community also has funds deposited with other banks. According to CCB’s third quarter report, deposits with other banks amounted to approximately $100 million, compared to $750 million worth of loans. These banks are unlikely to themselves be fossil fuel free, but, again, such deposits are only about 12% of financial assets, most of which will not be invested by these other banks in fossil fuel projects. Again, the fossil fuel exposure here is minor. Overall, I think it is fair to say that Coastal Community Bank’s deposits and Aspriation’s Spend and Save accounts are fossil fuel free by all but the most strict definitions of the term. The Redwood Fund seems to be a relatively generic mutual fund that avoids investing in fossil fuel oriented companies. Its top holdings are Amazon (AMZN), AGCO Corp (AGCO), UnitedHealth (UNH), Royal Caribbean (RCL), Johnson & Johnson (JNJ), Simon Property Group (SPG), American Express (AXP), Delta Air Lines (DAL), Prudential (PRU), and US Bancorp (USB). 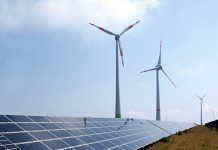 The fund avoids investing in fossil fuels by completely avoiding companies in the Energy and Utility sectors, as opposed to finding good actors like renewable energy companies in those sectors. 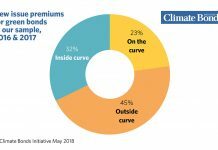 While the Redwood Fund is far from my top choice of a green mutual fund, I’m confident that it would meet most people’s definitions of fossil fuel free. But investors and do much better with mutual fund which seek out companies working to help the environment as opposed to just avoiding the worst actors. 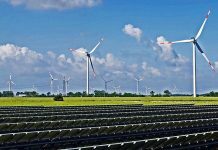 Mutual fund investors who are looking for fossil fuel free investing options should read my very quick guide to a green portfolio and clean energy mutual funds and ETFs. The Flagship Fund is another matter. This fund invests in a number of ETFs (exchange traded funds) with the goal of managing risk. 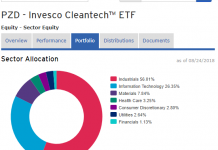 None of these ETFs have any policies about avoiding fossil fuel investments. Most follow highly quantitative hedge fund style strategies that try to manage risk. 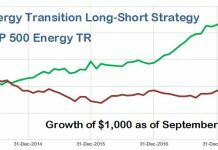 While that’s not a bad thing, investors can be assured that any such strategy will have some investments in fossil fuels. The only way to avoid fossil fuel investments is to actively work to avoid them. Investing in an ETF that makes no attempt to avoid fossil fuel invests is simply a way to avoid direct responsibility for those investments, not a way to avoid investing in fossil fuels. Aspriation’s Spend and Save accounts and their Redwood fund can be described as fossil fuel free by all but the strictest definitions. 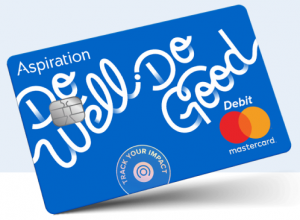 The 2% interest paid on Spend and Save account balances, along with the tools they offer to help customers direct their spending towards more responsible businesses make Aspiration a compelling option for people looking for environmentally responsible banking services. Whoever is responsible to responding to email sent to their press email address is abysmal. They should be called into their boss’s office to explain why they should not be fired. Disclosure: The author and his clients have no positions in any of the securities discussed, and has received no compensation from any of the companies discussed in this article. After the initial publication of this article, the author signed up for Spend and Save accounts with Aspiration, and added a referral link which will earn him a referral fee if readers use it to sign up. *Note: This article has been corrected to clarify the relationship between Coastal Community Bank and Aspiration.